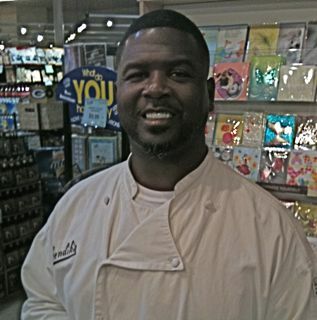 Ex-Green Bay Packer great LeRoy Butler appeared at Sendik’s Food Market on Port Washington Road on Saturday to sign books and meet Mequonites. His book, a quick-off, Sendik’s-branded run that serves up a short collection of home-style recipes, benefits The LeRoy Butler Foundation for Breast Cancer. Butler, an exceptional player who was smart enough to retire just once instead of egotistically un-retiring twice and alienating his fan-base by joining a hated rival team, is also skilled in the kitchen. In the short time this reporter had to spend before literally bringing home the bacon, Butler generously signed autographs and shared grilling advice and recipes. For more information on the LeRoy Butler Foundation, visit leroybutlerfoundation.com. Next articleTMN Scores Exclusive, One-Sided Interview with the Back of Robert Duvall’s Head!